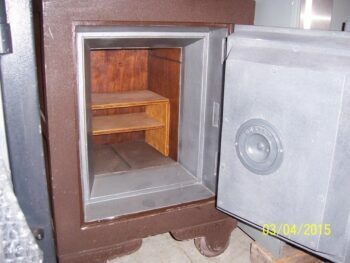 Front View, this is an old safe with a new look, Electronic lock, paint job, make an offer! Small interior with homemade shelves, Yes its a dinosaur but they were strong!! 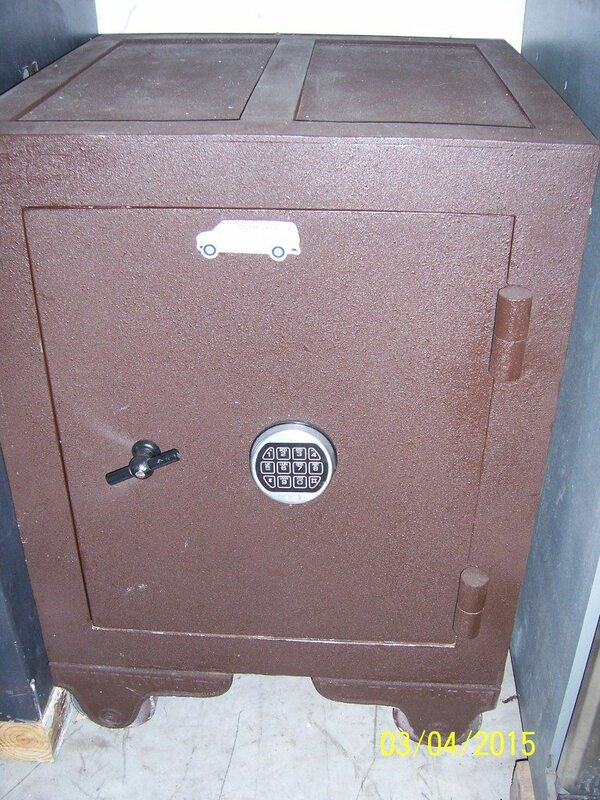 This old beast has been retro-fitted with a new electronic lock. If you want to keep your items safe, while still having an easy to use keypad, then this safe might be what your looking for. 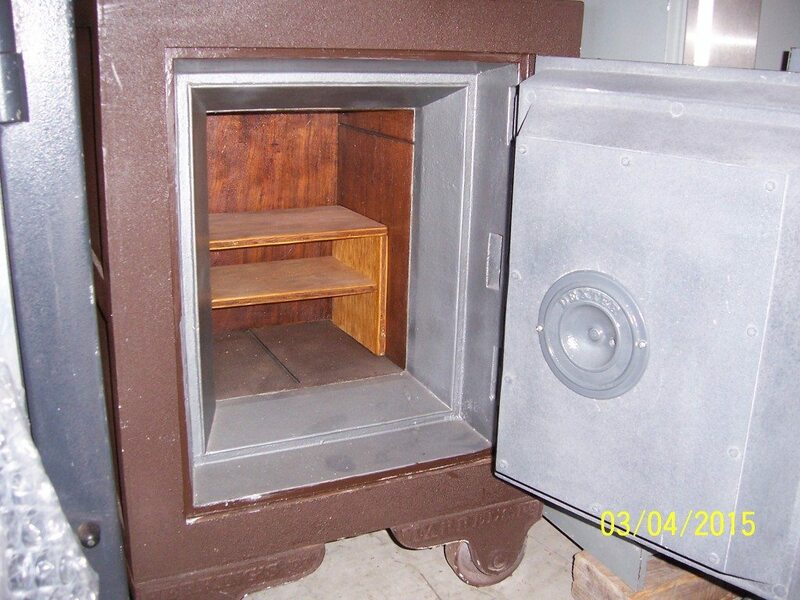 This safe may be old, but it was built strong and stayed strong over the years. Int. Dimensions: 16" x 12" x 12"
Ext. Dimensions: 35" x 24.5" x 25.25"